Each month the chef’s specials star a different region of Italy, giving regulars plenty of reason to return. In June, it’s Abruzzo, on the Adriatic and known for its use of hot red pepper; in July, it’ll be Campania, hardly in the north, but famous for Naples pizza. One of Gratzi’s most popular offerings is the antipasti buffet, where a little sign informs you that the items are changed every three hours, for freshness. This seems unnecessary in a joint with pretensions to class, but never mind: the grilled vegetables; marinated olives and mushrooms; prosciutto, cappicola and sopressata make for hearty appetizers, at only $12 for two. An extensive wine list is Italian and American, with bottles ranging from $20 to $261. 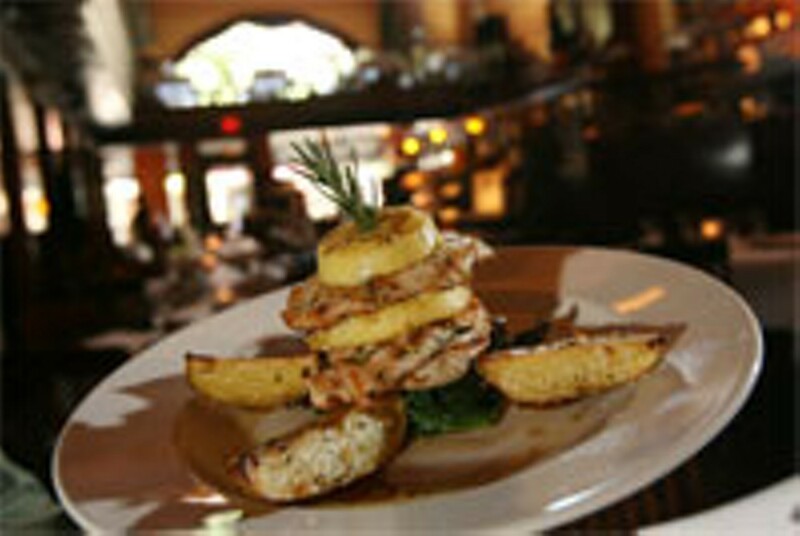 Gratzi offers fish, chicken, veal, pork and beef dishes as well, including an Angus porterhouse that may owe more to the Venture restaurant next door, the Chop House, than to Italia.